Want to migrate your CRM to Zoho CRM? Whether you use ACT!, Salesforce, Microsoft, GoldMine, Insightly, or some other CRM platform, we’ll help you migrate to Zoho CRM with ease. Ki Consultants hold certifications in multiple CRM solutions including Zoho, ACT! and Microsoft. We’ve been assisting our clients with migrations and solutions for nearly 20 years. Rest assured that all your data fields, custom fields, notes, histories, and sales opportunities will stay intact. 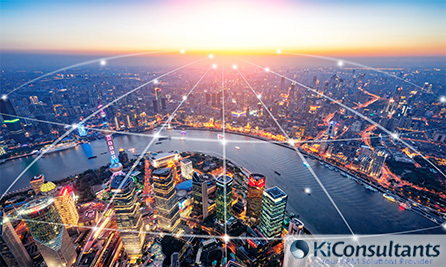 For a smooth, rapid, and secure transition, make your move with KI today. Fast, full-featured, and easy to use, Zoho CRM is an efficient cloud-based CRM tool that will streamline your customer-relationship management. It’s also customizable and much cheaper than any traditional CRM solution you’ve ever had. Zoho CRM is a fast, full-featured, affordable CRM solution that streamlines your customer-relationship management. Zoho CRM is the new star in customer-relationship management. This cloud-based solution is swift, reliable, easy to use, customizable, and is much cheaper than traditional CRM solutions. Why not migrate to Zoho CRM today?Our Zoho CRM Migration will transition you to it smoothly, rapidly, and securely -- without data loss. Why do you need our Zoho CRM Migration solution? You don’t have to deal with all the tech hassles in the migration process. Just sit back and relax while looking forward to your newer, more productive CRM tool. We work efficiently to make your transition fast and smooth because the sooner you get there, the quicker you can benefit from Zoho CRM. Rest assured that all your valuable data is in good hands and that the migration is handled professionally by our experts. We have nearly 20 years of experience with CRM Implementations and Migrations. You’ve worked hard to build your database. Let us help you retain that data with a smooth transition.